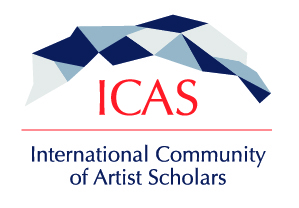 The International Community of Artist Scholars (ICAS) is a group of artist scholars dedicated to bringing different people, practices, and ideas together. We believe that working in between disciplines and categories is critically and creatively generative; shaping new ways of making, thinking, and collaborating. As a foundation we cherish such work for the challenges and rewards it presents. This is a community to collaborate, exchange and experiment with newly emerging approaches in the domain of art & research.